That sounds easy and yummy. I wrote down the recipe, I may try making it today. school. Now they're in high school or already graduated. Adorable pictures of you and your beautiful family,sweet Kitty!How especial!I also love that pretty teapot and charming teacup.Your recipe sounds good...Happy Thanksgiving! Oh, I love cranberry apple crisp! Yours looks great. That is a very cute teapot and perfect especially for Thanksgiving week. 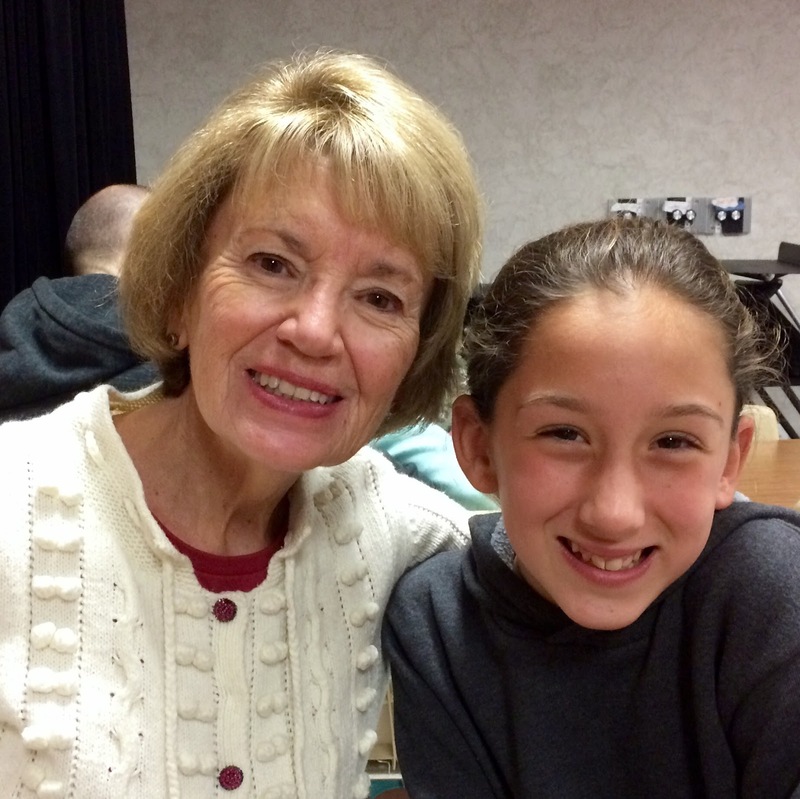 You have a lovely family, Kitty, and isn't it wonderful to be included in their events? Love those smiling faces! Happy Thanksgiving, my dear friend! Hugs to you. The pictures of you with your family touched my heart, Kitty. Such sweet faces that are shining with love. Wishing you and yours a blessed Thanksgiving. Hugs! 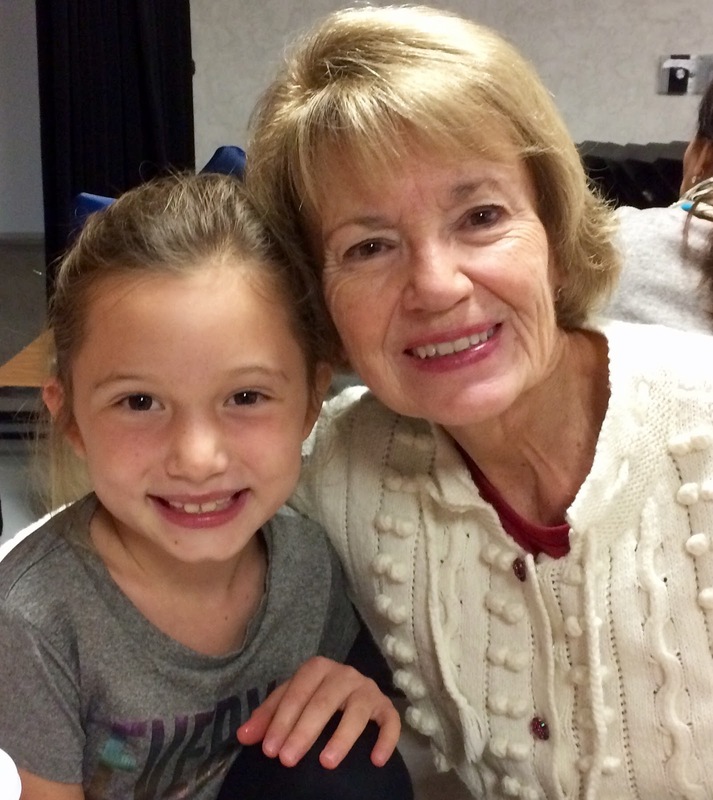 So great to see you with your grandchildren at their school events! They will always remember you attending them. I must try your crisp because the recipe I have uses way too much sugar! Mine doesn't include apples. What a nice addition. The cranberry apple crisp sounds so good. I love the photos of you with your children and grandchildren. You have been a busy girl, Kitty! So many fun activities, especially this time of year. I have everything I need for that wonderful cobbler recipe, even the honey crisp...hmmm...maybe I will find the time to get one together! Have a most blessed Thanksgiving, dear Kitty! Loved seeing your son and daughter and their children. How busy you are enjoying their activities. 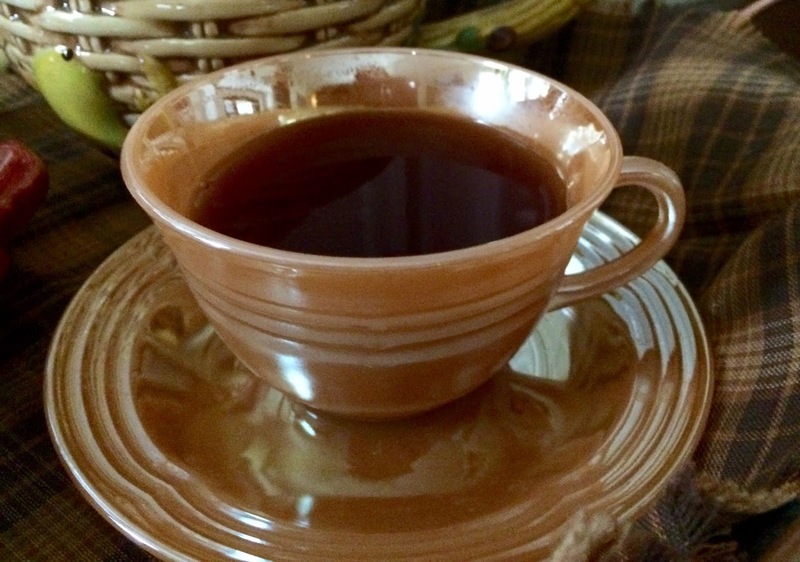 Your tea table is inviting and your recipe sounds delicious. 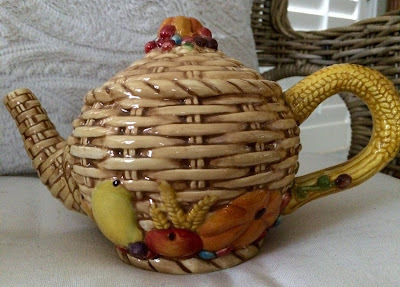 What a lovely harvest-themed tea setting. I'm intrigued by the ginger cranberry vanilla tea. Have a wonderful Thanksgiving! 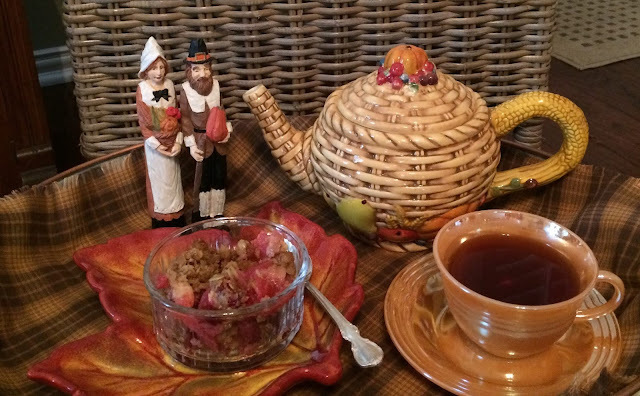 Your Thanksgiving tea vignette is so pretty Kitty and your Cranberry Apple Crisp sounds delightful! 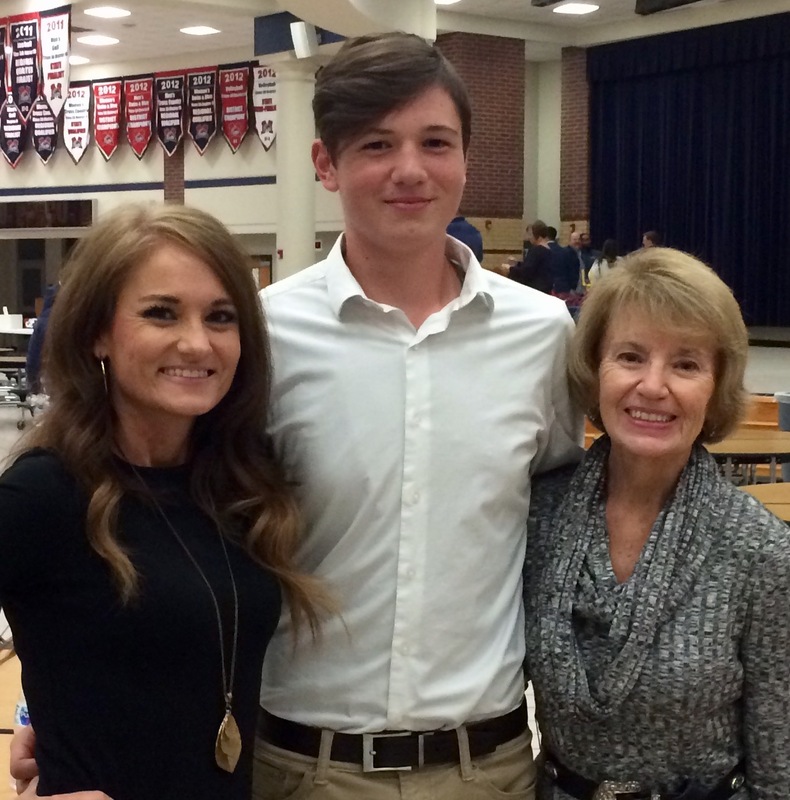 I'm so glad you got to enjoy those special family events, great photos of you all! Happy Thanksgiving! Love your family pictures! I have been making apple crisp every fall for 40 years...why have I neve thought to add cranberries? Sounds delicious! What a lovely, loving family!! Aren’t we just so very blessed! And I’m truly thankful and grateful! I had planned to make an apple cranberry crisp for Thanksgiving!! I’m excited to try your recipe!! Blessed thanksgiving to your and your family! Kitty, I always so enjoy the photos of you enjoying your wonderful family! That crisp looks sooo good. I love the combination of cranberries and apples. Lovely pictures of your beautiful family! 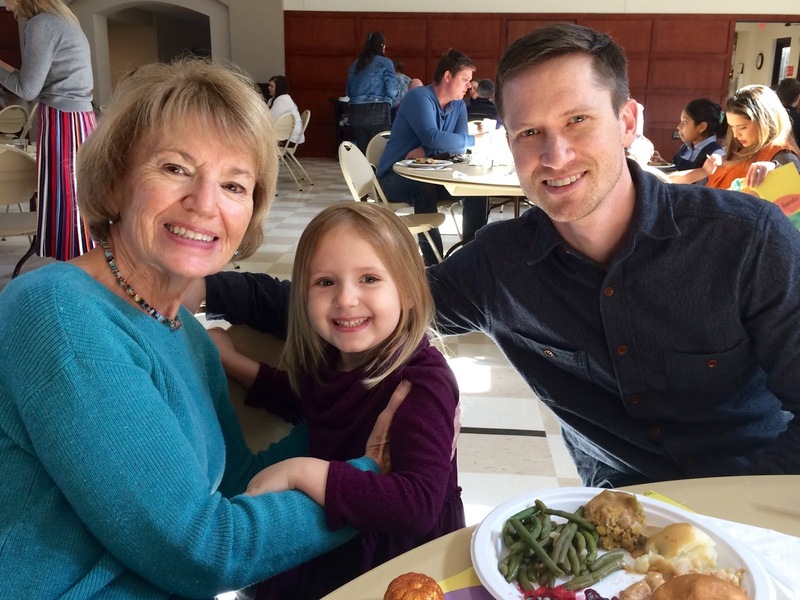 Have a wonderful Thanksgiving! Aw, what great photos! 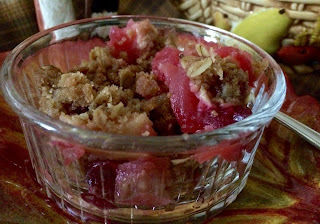 The cranberry apple crisp sounds like something I would love!